Warm, windproof, water-resistant - the Nano Puff® Jacket uses warm, incredibly lightweight and highly compressible 60-g PrimaLoft® Gold Insulation Eco with 55% postconsumer recycled content, wrapped in a 100% recycled polyester shell and liner. The sun/shade line on pitch 13 is reason enough to bring along the Nano Puff® Jacket. As a sleek micro-belay parka on chilly rock routes or as an insulated jacket during alpine squalls, it traps your heat and blocks the wind. The 100% recycled polyester shell sheds moisture and fits effortlessly in your layering system, while the low-bulk, hydrophobic, highly compressible 60-g PrimaLoft® Gold Insulation Eco - with 55% postconsumer recycled content - warms with remarkable efficiency, even when wet. The shape is sculpted with narrow horizontal quilting on the side panels, and the soft, wicking interior storm flap and zipper garage add chin comfort. The internal zippered chest pocket doubles as a self-stuffsack with a carabiner clip-in loop. Details include two zippered handwarmer pockets, elasticized cuffs and a dual-adjust drawcord hem to seal out wind and seal in warmth. Thank you for your inquiry. The Nano Puff Jacket is not the lightest puffy that Patagonia makes. 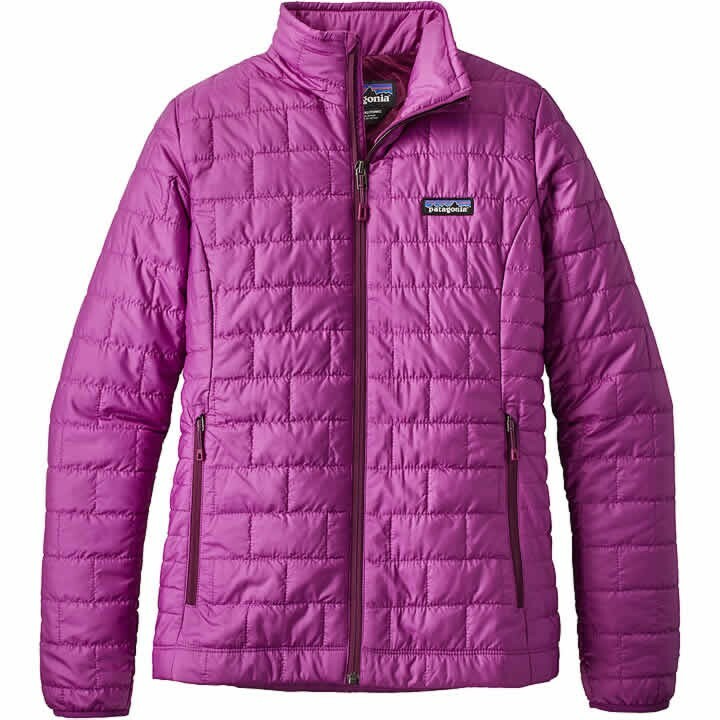 We carry the Patagonia Micro Puff which is the lightest puffy that Patagonia has to offer. Most of the Micro Puffs that we have in stock our located at our parent store The Skirack. We are located at 85 Main Street Burlington, VT 05401. Also check out our website Skirack.com. Please let us know if you have any further questions.